The Monster in the Mountain | Traversing Mt. Whitney is an unearthly experience. The thin air stifles every breath, my heart hammers to deliver vital oxygen, my legs feel heavy from what seems like strangulation. My head feels dilated, making thoughts confused. My eyes begin to twitch, and even the diffused light of the murky sky becomes glaringly distracting. The mountains take on a life of their own. 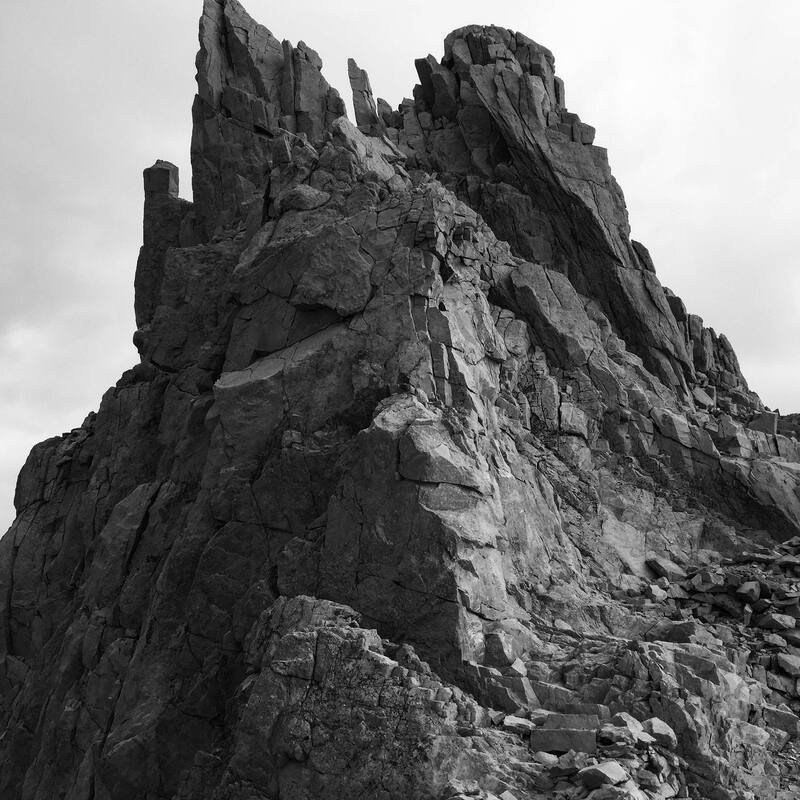 I start to encounter monsters in the mountain; their faces looking down at me, their clawing fingers grasp at my feet, their twisted spines inducing a sense of perpetual climbing.